There are an enormous amount of new bars popping up in L.A. all the time, but rarely do so many portray the level of sophistication and class that this hand-picked selection offer. Consider this list just one more thing to get excited about this Fall. This new addition to the bar scene is a craft beer, wine, and cider hotspot. Its rotating selection offers rarities and interesting choices for your palette, while the simple snack-like meals compliment the decor to create an almost 70's themed locale. If you're looking to stay ahead of the craft beer game, Bernadette's ability to pick up a kegs from breweries thaty don't even have distribution yet should appeal to you. Recommendation: Ask the bartender. Tell them what you like and they'll pick out something that you'll fall in love with. Sleek and intimate is the feeling this cocktail bar gives off as you duck inside the back of Kendall's Brasserie, the upscale French bistro. 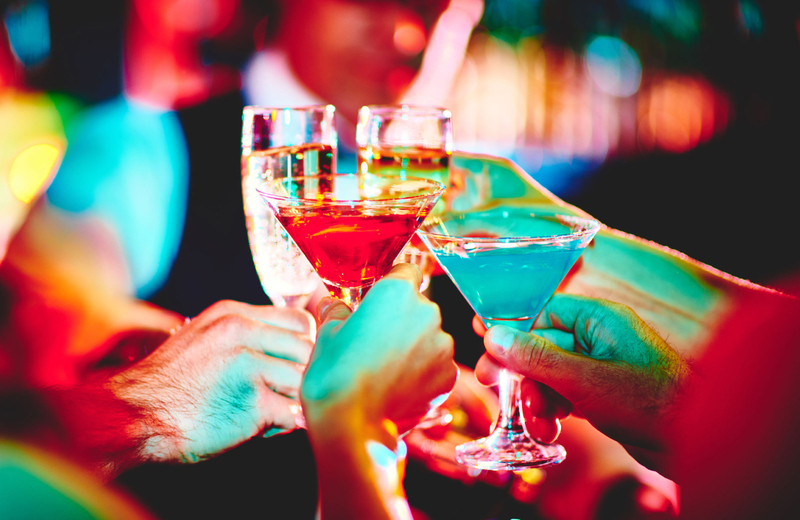 Drink names pay their respects to authors and artists from the roaring 20's, but the real treat is The Triple Tipple. This three course flight is made of cocktails you won't find on the menu, each inspired by the shows playing in the Music Center next door. Recommendation: The William Faulkner. It's their take on an old fashioned, and it's amazingly easy to sip. Upstairs from Jane Q (a newer restaurant itself) lies the Ever Bar. You'll need to head through the Kimpton Everly Hotel to get here, but the cocktails will be more than worth the flight of stairs you had to climb. You'll have your choice of three vinyl era categories: Basement Tapes, Reissues/B Sides, and Riffs. Corresponding, those are forgotten classics, new takes on duds from the past, and your modern culinary masterpieces. Recommendation: Make this a regular stop, you'll gain access to a secret food and drink menu. No kidding. If that's out of the question ask about the Bone Thighs & Harmony, which is a reimagined prohibition cocktail. The name alone is enough to tell you that this is a Mezcal lover's dream come true, but it's also an excellent place to get acquainted with this tequila as well with over 100 different concoctions. The venue itself offers a warm atmosphere with rich woods and plush seats, while the lighting delivers an air of elegance. Recommendation: Newcomers to this realm of spirits should try the Maria. Experienced tequila lovers should ask for the small-batch flight, featuring rare agave flavor profiles. From the minds behind Melrose Umbrella Co. and Corner Door comes Lono, a shabby chic meets tropical oasis complete with Tiki touches. This is not a Tiki bar, however. While you will find a classic Mai Tai, you can also enjoy a variety of fun sippers that land far outside the genre. It's slightly more lit than the usual small bar, but don't let that stop you from stepping in after a long day of work. Recommendation: While it isn't a Tiki bar, you can't go wrong with one of their Tiki drinks. Anything with a mixture of banana and coconut is sure to send you to your happy place. This is Danish brewer Mikkeller's first standalone bar, made from a preserved yet reimagined 100 year old auto repair shop. There 62 taps featuring only the highest rated international brews, as well as a specialized bottle selection and craft cocktail list. Best of all, the beers here are categorized by temperature instead of type with some ranging as high as 55 degrees Fahrenheit. Recommendation: This one depends on your personal preference. However, being adventurous does have its benefits. Prank is the city's first ever walk-up bar where you can literally walk off the street, head over to the bar as if it were a street vendor, and order a drink. While you do have to keep your cocktail on the property, the 2,800 square feet should be more than enough room. Each drink is made to pair with a different item on their menu, which makes this an excellent mid-shopping break station. Recommendation: The Papalote is refreshingly fruity mixture, perfect for a daytime drink. If you need a little break from the norm, why not try a little coffee or tea cocktail? Rudolph's serves up uniquely crafted specialties in vintage silver tea pots and matcha bowls, and that means more than the usual Earl Grey afternoon variety. There are always your standby Irish coffee classics, too. Recommendation: If you like matcha tea, then you have to give The Coquito Con Matcha a try. Head over to Glendale and you can find the San Fernando, a bar with a truly classic feel from the wooden ceiling down to the round, red bar stools. The atmosphere is reminiscent of an old train station bar while the drinks are as modern as they come, even featuring house made syrups. Complete with under-bar USB charging ports, it's a one-of-a-kind getaway that could easily become anyone's Cheers. Recommendation: Honestly, let the bartender know your favorite spirit and ask them to surprise you. You'll be delighted. With an 80's throwback/New York theme and Old Fashioned batched to fire out of their soda gun, you should expect nothing short of an astounding cocktail from The Slipper Clutch. Those seeking out the finest of concoctions should get their fill here. If you can't find exactly what you're looking for, then step over to the connected sister Bar Clason where you can find the rest of the immense cocktail menu. Recommendation: Try their delicious take on the classic Rum and Coke. When the night comes to a close and the cliche Semisonic hit comes on (or hopefully doesn't), why not heat home to luxury at Eighth & Grand? This Greenpoint rated apartment community features spacious floor plans complete with modern finishes and a slew of top rated amenities from a resort-style rooftop pool to a calming zen garden. It's a redefined look on luxury, right here in L.A.